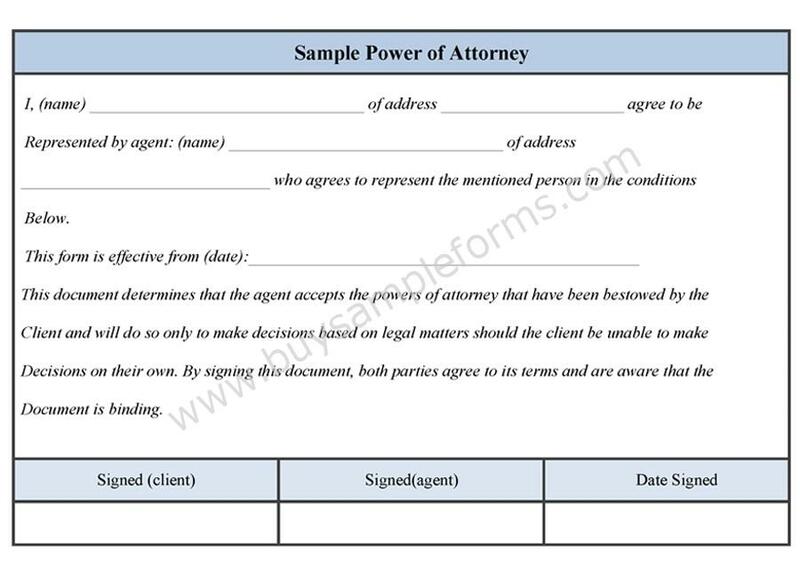 A sample power of attorney form is produced when a person gives a legal authority to another for performing some activity. The form is needed when an individual is unable to handle some authorities for any reason, and then he/she needs a reliable person to take the responsibility. The power of attorney depends on the field of the concerned. You can even apply for the limited power attorney form as per your needs. This form clears the area of the authority of the concerned person. The template of the form contains information regarding the responsibility that one needs to take with the authoritative power. In general, you can say that this form is the mode to transfer power from one person to another. The form needs signature of both parties and it is important to read the statement before signing the form. Below a sample is provided. You can download the template in both PDF and word document. Make necessary changes to express your point of view. An irrevocable power of attorney form is a document which is necessary to transfer the power of authority to an individual. A health care power of attorney form is needed when a patient is unable to give his/her decision on the medical procedure that will be performed on him/her. A financial power of attorney form deals with transferring authority to the person who looks after financial matters as per the agreement of the form. An enduring power of attorney form is necessary to transfer the rights and authority to an attorney due to the principal or client’s incapability. A dual power of attorney, as its name depicts, it is the form to confer the legal right to the two individuals instead of one. A customs power of attorney form deals with the matter related to the customs duties, including import and export of goods. 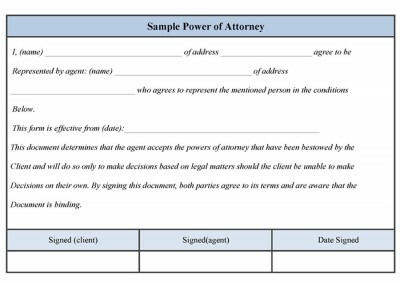 A blank power of attorney form is a legal document used in conferring the authority to an individual according to the consent of the client.